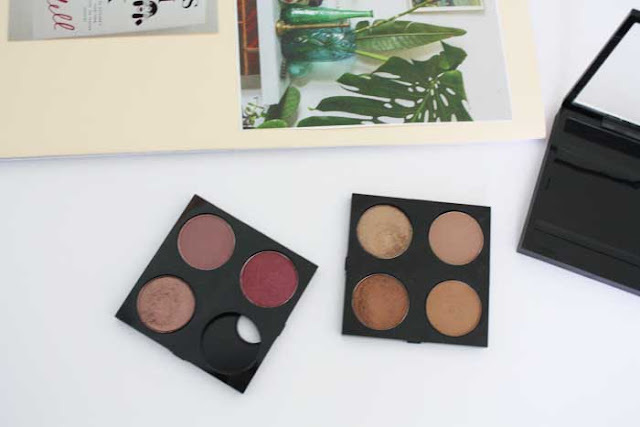 Here we have some of my most-loved Mac eyeshadows and surprisingly some mattes made the cut. First up is Wedge. I'm not going to try to talk it up as some showstopper of a shade. It's really just your standard, light beige-brown shade. 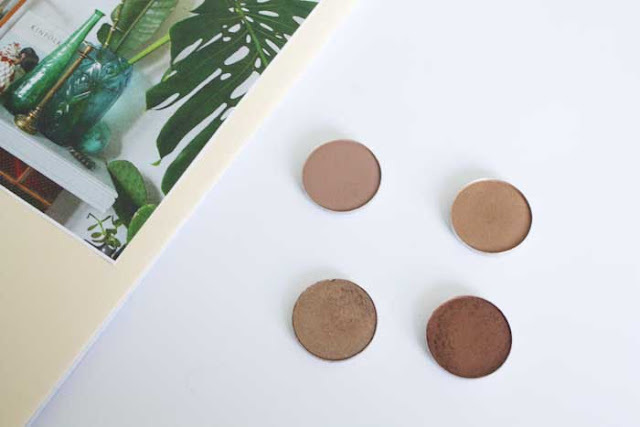 It's perfect in the crease or all over the lids if you want something effortless. Soba, top right on the other hand has to be one of the most underrated Mac eyeshadows. They describe it as a gold bronze with gold shimmer and it's so pretty. Unlike more yellowy/orange golds which can be unflattering on paler skintones this one leans more on the neutral side of things. If I don't know what eyeshadow to go for, this is what's usually on my lids. Next we have Tempting which I remember was an impulse buy. It's a light, coppery toned shadow and again is super gorgeous on the eyes. I feel like it complements brown eyes really nicely. Last but not least for the browns we have Bronze. Despite its original name *ahem*, this is very similar to Mac's Eclair paint pot from a couple of years back. I tend to wear this colour more in Winter but it's one of my favourite Mac shadows. 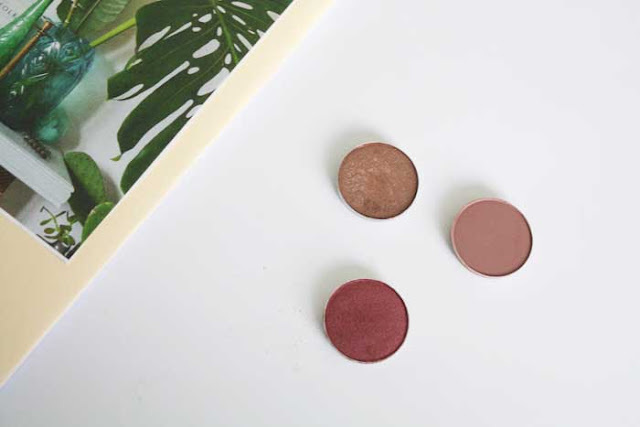 This trio may as well be called the Tanya Burr lineup. I'm pretty sure they were mainly inspired by her, and my chief enabler Anna. Sable is a rose-gold hued shade. It's absolutely beautiful and as you can see it's quite well loved. Haux is a rosy brown and works well with By Terry's Misty Rock eyeshadow crown, the main reason it's in my stash. Lastly we have Cranberry a shade I was on the fence about for ages. It's certainly very intimidating to look at in the pan but it surprisingly is a lot less daunting once it's applied. Maybe because I have a darker eye colour it doesn't give me the whole 'pink eye' effect but I love it. Again, it's another shade that I mainly reserve for Winter and Autumn but it's going to get a total thrashing in a couple of months time. *Have you tried any of these Mac shadows? If not, what are your favourite eyeshadows?